Why a women travel post? The significant half of AGreekAdventure, Maria, is a woman and she additionally travels solo, apart from our joint trips around the world. Since this happens for many years now, Maria thought to give a good amount of info on what to take care of when women travel alone (or not). 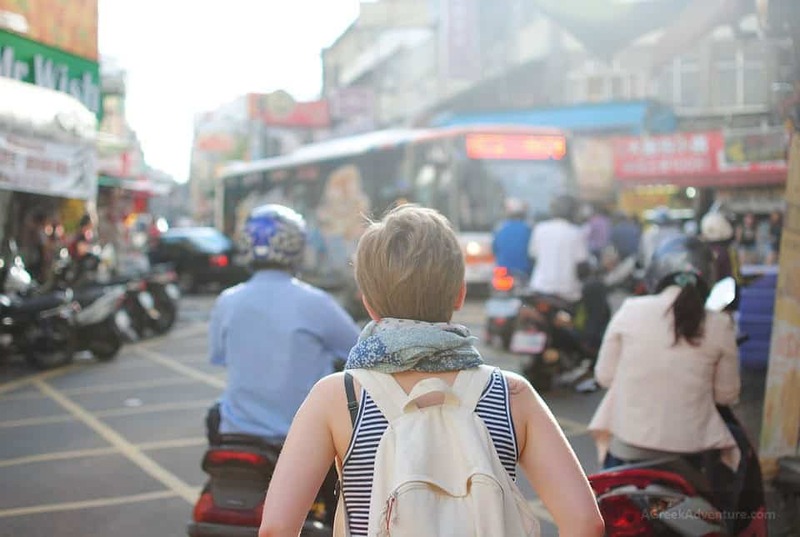 This travel guide that is solely for women, aims to make each of your trips easier and safer. Researching on the most beautiful cities or beaches is as much fun as the travelling itself for most people. This can take some time but it is necessary especially for women travel as it provide you with safety information on the destination you are headed. Researching on your destination enables you to understand which neighborhood to avoid, the kind of taxi that you should take, and the medical centers available in the city. Things are among the things that you should find out in advance before you take the actual trip. When you are embarking on a trip, don’t take with yourself something that you will be despondent to lose like your birth certificate, expensive jewelry, and family heirlooms. 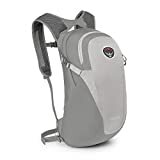 You should also carry a day bag for accessories like laptop, DSLR cameras, e-readers, tablets, and smartphone and ensure that the bag is on you all the time especially when in transit. In order to avoid losing these accessories, do not put them in your general backpack, your checked luggage on a plane, or on a luggage hold on a bus. When visiting new destinations, you are tempted to blend in and form friendship with new people especially if you are travelling alone. Lifelong friendships can sometimes be formed from this but there some cons who have mastered the art of befriending travelers with the intentions of robbing them. You should not be too quick to trust people just to become part of a group but rather take your time to know them until they earn your trust. One too many while traveling may lead to undesired situations where it can be difficult to get out. Have fun but have control too. No money is enough to balance lack of safety for you and your belongings or cleanliness. If you have to choose between spending a bit more to have clean sheets and bed, do so. Do the same for the adventurous you love to participate. Don’t go for the “bargain” all the time. Check, investigate and decide accordingly. We can never stop mention the importance of travel insurance. Book your travel insurance package early. It is the amount of money you won’t regret even spending. Learn why you need to buy travel insurance. Do you keep your passwords in your phone or/and laptop? These could be stolen. Make sure you have a backup of them in a Dropbox, Google Drive account or a Roboform account. In that way you will be able to have access to crucial data (banking, social media, etc) if something ugly happens. You can connect in an Internet cafe and simply change all passwords when you have access to them even without your smartphone and laptop. There are two things that women should consider when they are choosing their travel cloths. First, ensure that the clothes are comfortable keeping in mind that most travels involve hours of transit and therefore you should choose something that you will be comfortable sitting in for hours. Second, make sure to choose clothes that are easily pack-able as this will help you reduce the size of the travelling bag. Below are some clothes that are best for women travel. The Obermeyer jacket is manufactured using unique Obermeyer material which makes it warm but light. The jacket has the faux fur trim which make it removable and adjustable making it a good choice for travel due to its ease of packing. The jacket is long providing you with extra warmth and coverage. Craghoppers Inga Jacket provide with same amount of warmth as the sleek jacket with a bit of style. This jacket is perfect for travel as it has seven pockets providing you with a safer way to carry your expensive accessories. The outer fabric of the jacket is made of wool which makes it light and hence one of the best for women travels. 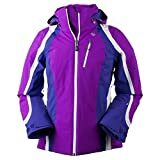 The Igneo jacket for outdoor research is one of the favorites jacket for women travel as it only weigh 29.9 ounces. It has a slim-cut silhouette making it stylish enough to even work off-piste. Some of the best features of this jacket include a RECCO reflector, removable hood, removable powder skirt, built-in goggle wipe, and tons of pockets. You should also always carry a long pullover especially for long travels as you will be sited for many hours and the pullover ensure that your back is not exposed. Another benefit for carrying a long pullover for your travel is that it keeps you warm especially when you are travelling to destinations with cold or chilly weather. Other clothes best for women travel include sleepwear, sunglasses, quick-dry pairs underwear, 4-6 pairs of socks, and swimwear. The best travel pants for women are the loose pants. It may be a bit harder to achieve a stylish look wearing a loose top and bottom for many people comparing to wearing skinny jeans but loose pans are a better option especially for long travels. These travel pants are best for travel because you can wear them anywhere due to their slim, classic cut. A quarter of space of the skylers pants is made with ultra-thin fabric making them light and confortable for women travel. Skylers pants hardly weigh anything and they can even fit in a slim packing tube. They are made with fabrics with a good amount of stretch which gives you enough room to move around with ease. Yoga pants or any other clothing for workout are not only perfect for travel but they also come in handy on active days during your travel. Yoga pants are also best for travel because you can even sleep with them after a long day of walking tours. Another good choice for women pants for travel is the Harem pants as they are loose and comfortable. Harem pants also come in a range of colors which give you a variety to choose from. Another benefit of Harem pants is that they don’t look anything like sweatpants and hence you can wear them in both dressy and casual settings. 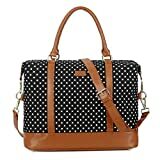 This bag is excellent for carrying women accessories due to its capacious interior. The open sleeve across the back of the bag enables you to hold it over the handle of your suitcase which makes it smooth for transit. The features of the bag include gold accent hardware and a lifetime warranty. This bag is packed with compartments outfitted with interior lining and zippered pockets which enable you to organize your items with style. It also has a telescopic push button handle enabling you to pull it around with much ease. 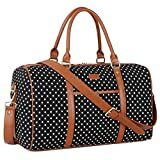 Features of this bag include it is available in 8 stylish designs, can fit under airplane seats, and its u-shaped opening is easily accessible. 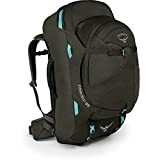 This bag is excellent for long-term travelers but it also makes an ideal travel bag for hikes and extended trips. The top handles on the bag make it possible to hoist it above your head. 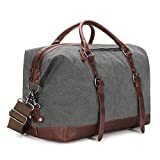 Some of the features of this travel bag include can handle 50 pounds of load, it has a zip-off day pack, and it has a sleeve designated for laptop or tablet. Most people like to explore as much as possible on foot when they travel. It is therefore important for women to shop for shoes which are both stylish and comfortable when they are planning their trips. Adidas Tubulars come in various colors and they are also light making them the excellent choice for walking around during your vacation. These shoes are comfy as they are packed with a thick white sole which provide support to your feet. They are also made of style without laces which make it easy for you to put them on. They go for $ 130 on Nordstrom, Amazon, and Asos. The one type of shoes that all women on travel should carry are flats especially for sightseeing travels. Unfortunately, most of flat shoes come with thin soles which do not support walk tours. The foot bed of the Puma ballet flats come with extra cushioning making them as much comfy as sneakers. Puma flats are also easy to bend fold because collapsible suede materials are used to make the upper portion of the shoe. The flexibility of the Puma flats makes them perfect for travel because they do not take much space in your luggage. Jack Roger loafers are comfortable, soft, and a relatively cheap option when you shopping for women shoes for travel. The loafers come in a wide range of colors which give you a variety to choose from when you are shopping for your travel shoes. These shoes are relatively durable in comparison with other brands in the market like the M.Gemi loafers. This is a nine piece travel kit that that the guess work out of your trip. 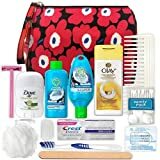 This travel kit offers a see-through cosmetic bag, crest toothpaste, Nivea body lotion, speed stick deodorant, conditioner, and a TRESemme Shampoo all-in-one travel kit. 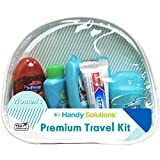 Another benefit of this travel kit is that it is already TSA approved meaning that you don’t have to worry when you on your trip. This travel kit bring together all of your persona favorite products in one bag providing you with everything needed to keep you at your best look during your travel. The kit is also TSA-Approved and it contains the following; Degree Antiperspirant, Soft-soap body wash, conditioner, and a travel size bottle of Shampoo (Garnier Fructis) among other products. 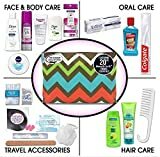 While the other travel kits only provide you with grooming products like toothpaste and shampoo, the Premium Travel Necessities Kit for women is a 19 piece kit which takes things a notch higher. It not only contains crest toothpaste, a conditioner, and Pantene Shampoo, but also other products with exceptional brand names. The kit even contains an eye mask and a shower proof. There are a lot of practical picks when it comes to travel accessories which are necessary to make their travel more enjoyable. 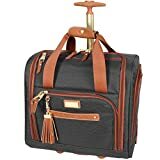 Below are some of the best travel accessories for women. This is the lightest and smallest external battery with high speed charging technology power-bank for your iPhone and Samsung smartphones among others. One feature which makes this accessory perfect for travel is its smaller size. You and your devices are also protected as the portable charger uses Anker’s Multi-Protect safety systems. This toiletry bag is made with Oxford cloth fabric which makes the surface of the bag waterproof. It is high-capacity meaning you carry all your cosmetics like shaving tools and other items for travel in it. The design of the bag is friendly with an additional handle which make it convenient to unpack or carry around. This product is almost a necessity for all women on travel. Features of the dryer include dual voltage, foldable handle, Tourmaline titanic technology, lightweight and removable filter cover. There are some destinations that are dangerous for women travel especially when one is travelling alone. Below are some of the safest destinations for women travel. There are more, of course but these are a food index to start with. Copenhagen, Denmark – Greece – Iceland – Barcelona, Spain – Munich, Germany – Berlin, Germany – Dubrovnik, Croatia – Salzburg, Austria – Stockholm, Sweden – London, England – Ylläs & Helsini Finland, Paris… In general most of Europe is safe for women. 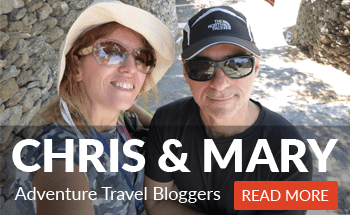 New York – Marfa, Texas – Austin, Texas – Torres del Paine in Patagonia – Banff & Jasper – Alberta, Canada – Valle de Guadalupe, Baja California, Mexico – Seattle – Washington, D.C. – Maui, Hawaii – El Chaltén, Argentina – Big Sur, California – Ottawa, Canada. 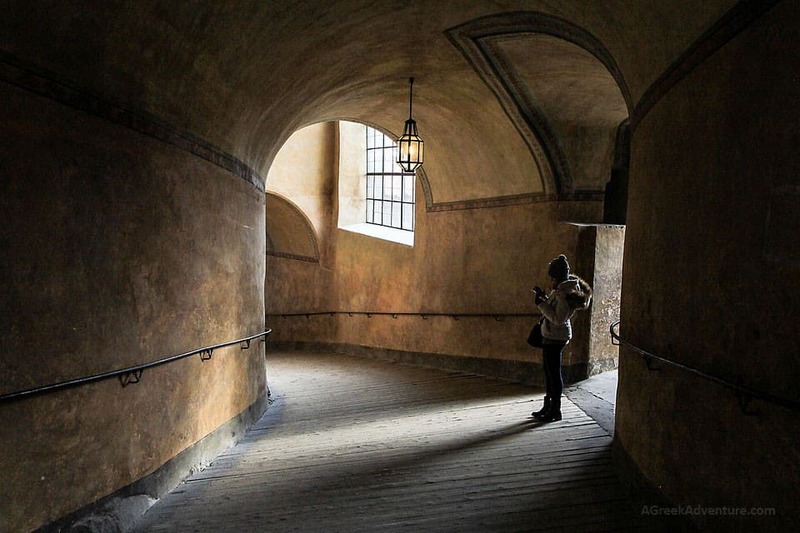 Solo women’s travel is something very common these days and it should be like that. All people regardless of their gender, background and location must be able to travel. Travel is harmful to any kind of prejudice and increases tolerance towards others.